Xmarks recently announced that they will soon be shutting down their free browser sync service since they couldn’t make a business out of it. 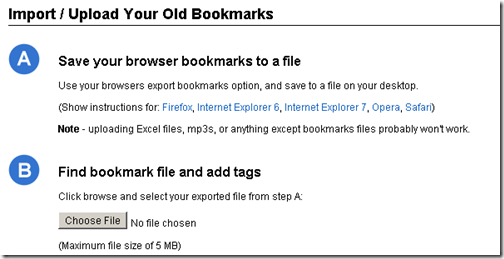 With the service going away, a lot of you Xmarks users are probably looking for an alternative way to sync your bookmarks. If all you need is bookmarks syncing, there may be a mature free polished service already out there. Delicious is know for its social bookmarking service. But, with browser plugins for Firefox and Internet Explorer it could be used as a reliable browser bookmarks sync utility. The way delicious works is starkly different from Xmarks. Also, I didn’t find bookmark support for Safari and Google Chrome although you can access the site from any browser. 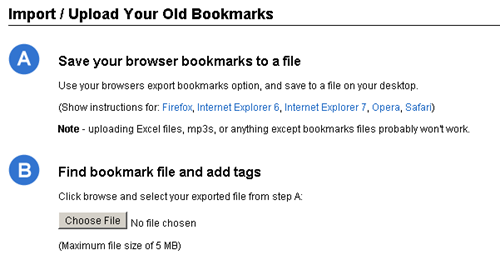 You would want to add tags to your bookmarks – could be the same as the folders you kept them in. This could help in doing a bit of housecleaning but plan on spending some time. Next you will replace your Firefox or IE bookmarks with bookmarks you just imported into Delicious with the add-ons installed. The main difference here is that the bookmarks are stored in delicious servers and not locally. if you are a Dropbox user and use Safari on a Mac alone, here is a neat solution. Of course neither of this provide all the functionality of Xmarks – like password sync, tabs sync, history sync, etc. Although individual browsers have some sort of sync available, a cross-browser cross-platform Xmarks is invaluable. Xmarks has a final hope where they have said they will continue the service if atleast 100000 people pledge to pay $10-20 in annual fees to keep the service going. If you would like to keep the service alive, sign up by Oct 15.